Just a quick post today folks :) I reviewed the white polish from Nubar's Polka Dot duo in this post, but here are both of them together. White Polka Dot has satin opal hex glitters and iridescent tiny glitter. 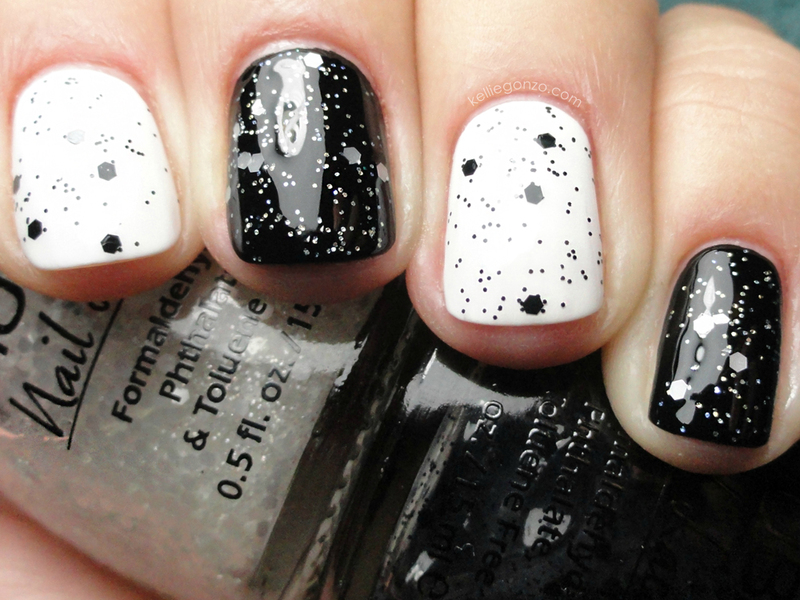 The Black Polka Dot has black hex glitters and tiny black glitter. I layered the White Polka Dot over Wet n' Wild Black Creme and I layered the Black Polka Dot over Wet n' Wild French White Creme. You can get the polka dot lacquers in a set from www.bynubar.com for $20.